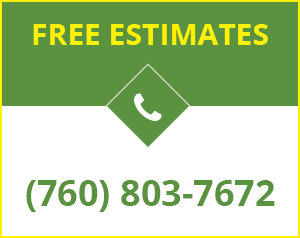 Perhaps one of the most compelling reasons to install artificial grass on your residential or commercial property is the fact that artificial turf is incredibly low maintenance. Unlike living grass, artificial grass will stay lush, green, and beautiful in all seasons with almost no effort on your part. No Mowing: Artificial grass stays the perfect length for its entire service life of 10 to 15 years or more. You’ll never have to push or ride a mower in the hot sun again. No Watering: Watering a traditional lawn can be a real chore. Too little water, and the grass shrivels up and dies. Too much, and you end up with soggy dead spots. Of course, you won’t have to worry about watering with artificial grass. You can save thousands of gallons of water every year. No Weeding: With the exception of pet turf, all types of artificial turf typically include a layer of weed cloth to inhibit weed growth. The layer of crushed rock beneath the artificial grass is also inhospitable to weeds. No Feeding: Artificial grass can be installed over any type of soil. There’s no need to adjust soil nutrients with periodic feeding and fertilizing like there is with real grass. No Pesticides: Bugs don’t eat artificial grass. This means you don’t have to spray pesticides on your lawn, which is healthier for your family as well as easier on your wallet. Rinse it: Airborne debris like dust and pollen can settle on your lawn and make it look and feel dirty. All you have to do to refresh your artificial grass is rinse it with plain water. In the case of more significant soiling, we recommend rinsing with a solution of 50 percent white distilled vinegar and 50 percent water, followed by another rinse with pure water. If you have pets, you will need to clean up waste and rinse the grass frequently. Brush it: Over time, foot traffic can start pressing down the blades in your grass, giving heavily trafficked areas a matted look. To correct this, simply brush these areas against the direction of the grass to help the blades stand back up. Always use a brush with synthetic bristles, not wire or metal ones. Now that’s what we call low-maintenance! 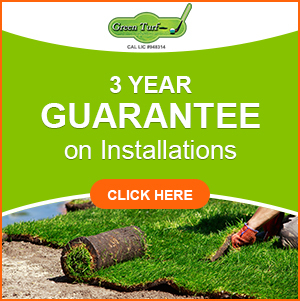 If you’re tired of spending your weekends on lawn work, it’s time to call Green Turf at (951) 656-4150. We can help you reclaim your weekends with beautiful, low-maintenance artificial grass.